Bringing coders and journalists together is one of the big issues in newsrooms today, causing many journalists to think about how much coding knowledge they should invest in. The problem is that coding is an enormous subject that many of us simply don’t have time for. It requires thousands of hours of hard work and dedication. For this reason having coders work alongside journalists in the newsroom will always be the best solution: having experts next you in the office is the most effective way of learning on the go. Last January I attended Journalism.co.uk’s news:rewired event where one discussion generated particular interest amongst attendees. Cynthia O’Murchu from the FT described how they used developers to create infographics on a piece entitled ‘Oil and Gas Executives: Are they worth it?’. Taking complex data like this and turning it into easily understood visual information, otherwise known as data mashing, is the practice for which today’s journalist will most likely be required to delve into design and coding. So as well as the ability to write and communicate, journalists are going to have to acquire a certain flair for design and some practical technical understanding, even if we don’t turn into full blown coders ourselves. So where is a good place to start? These are three words we hear a lot working in technology journalism: immersive, interactive and intuitive. They represent areas in which journalists will do well to excel, especially given the imminent arrival of the iPad and other tablet computers. Touchscreen computing creates a childlike desire to delve into a webpage and explore information like never before, and it will be the publishers producing the right kind of content that will have the heavy traffic. The general election has been great for this kind of rich content. For the first time we’ve all been able to interact with that famous swingometer on the BBC’s website, while live blogging appeared to be firing on all cylinders during the hung parliament negotiations. Working with designers and coders to create these apps is great if you have the budget, but obviously we don’t all work for the Guardian or the BBC. So getting some basic understanding of how to go about doing these things is going to be a good career move for many journalists. From a design perspective, Adobe Fireworks is a great image and graphics software programme. It is perfect for beginners looking to start creating their own basic infographics. Similar to Photoshop, but smaller and more instinctive, it is useful for creating web optimised visual data in both vector and bitmap formats. Have a look at this infographic from the Guardian on MPs expenses for an idea of what you can aspire to. Stepping up to the next level and actually developing your own web applications gives you a problem experienced by every newbie developer starting out today: which languages do you learn first? The good news in that most web development languages today share similarities, so tackle one and you’re going to find the next one much easier. It’s a bit like learning European languages; the more you understand the easier it becomes to make relevant connections. HTML and CSS are your basic starting points, giving you colours and structure. If you want things to start sliding across the screen and getting interactive then J-Query and PHP (the web’s top scripting language) are the next ones to move onto. As for getting your content on mobile phones, that is a whole other ball game. 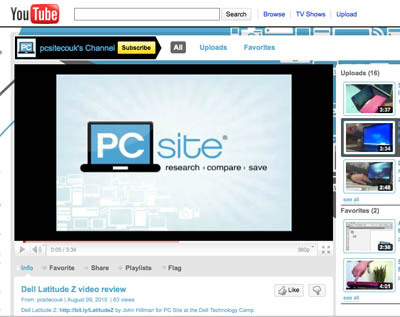 John Hillman is the editor of PC Site which reviews and compares laptops and software. Follow him on Twitter: @JohnjHillman. Read his first post for the Journalism.co.uk editors’ blog at this link. This entry was posted in Comment, Handy tools and technology, Online Journalism, Social media and blogging and tagged Adobe Fireworks, coding, Computer programming, Data journalism, infographics, iPad, John Hillman, PHP, programming, Technology/Internet on May 13, 2010 by John Hillman.